At a recent meeting of The Writers’ Community of Durham Region, I listened to author Alissa York talk about receptivity. She took us through some of the characters and plot developments in her acclaimed novel, “Fauna” and shared how being receptive helped her find and then refine those characters and the story line. Receptivity. Being receptive and open to what life hands us. That is, I think, the gift of the artist. And the more receptive and open you are to life’s offerings, the richer your work becomes. Paris as seen on a walk is unlike Paris seen as a tourist. We signed up for the New Europe Tour with Sam from Minnesota as our walking tour guide. Love hearing the snippets and bits about the ‘story behind’ this or that. Hitler’s hat falling off when he went to see Napoleon Bonaparte’s resting place — an errant bit of wind, apparently, that nabbed his hat so that even Hitler was forced to bend over & bow down at Napoleon’s shrine. Even if it isn’t true, it becomes so for me because I created the scene as Sam told us about it. 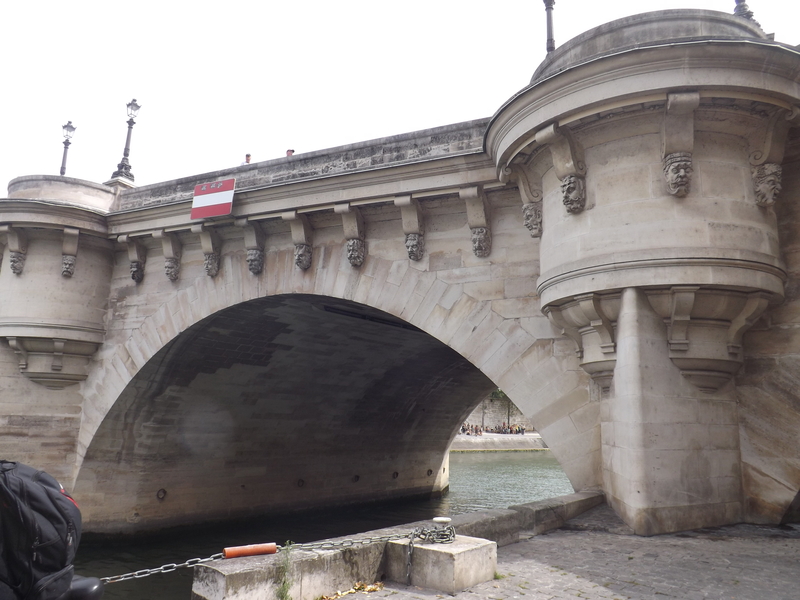 Or Henri IV’s drunken lords’ faces being the inspiration for the faces carved into the Pont Neuf over the River Seine. I can see it — King Henri plies them all with goblet after goblet of wine, watches them devolve from Lords into Louts, sketches his happy little heart away and replicates those goofy guys all along the bridge. I bet he was a prankster in more than this episode. Fiction comes from such places. You just need to be, as Alissa York suggests, “receptive.” Now, how to work those scenes into a future novel or story or poem. Ah me. A writers’ work is never done.